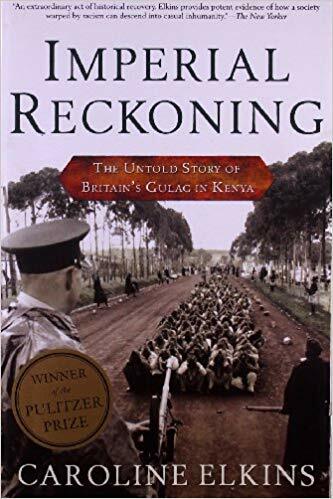 This winner of the 2006 Pulitzer Prize for General Non-Fiction reveals the terror at the heart of Britain's "civilizing" mission in Kenya, where after World War II the British colonial government detained nearly the entire population of Kenya's largest ethnic minority, the Kikuyu. In a cruel system of prisons and work camps—and during the Kikuyu's "Mau Mau" uprising—tens of thousands of Kenyans were exterminated by British colonizers. The catalog of cruelty Elkins uncovered—bits from surviving documents, more from interviewing survivors—makes for quite nauseating reading that descends the slope of depravity from torture to outright killing. Inevitably news of incidents leaked out, igniting parliamentary rows in London, which Elkins chronicles with contained fury. Filling a previously blank page in history, Elkins’ pioneering study is a crucial recording of Kenyan history in particular, and that of African decolonization in general. Elkins, working in archives and travelling throughout Kenya, has undertaken an extraordinary act of historical recovery ... With the moral fervor (and, occasionally, the overreachings) of a prosecutor, Elkins provides potent evidence of how a society warped by racism can descend into an almost casual inhumanity. What did you think of Imperial Reckoning: The Untold Story of Britain's Gulag in Kenya?